Like its big brother, the Strike 250 combines all the attributes in a single cylinder powerhouse. The Strike 250 is powered by a 4-Stroke - OHV, EFI engine with an Automatic CVT Transmission and Independent Dual A-arm Suspension. There's no need to buy expensive accessories because the Strike 250 comes fully outfitted with a roof, windshield, headlights, turn signals, doors and a 2500 LB winch to help you out in any given situation. 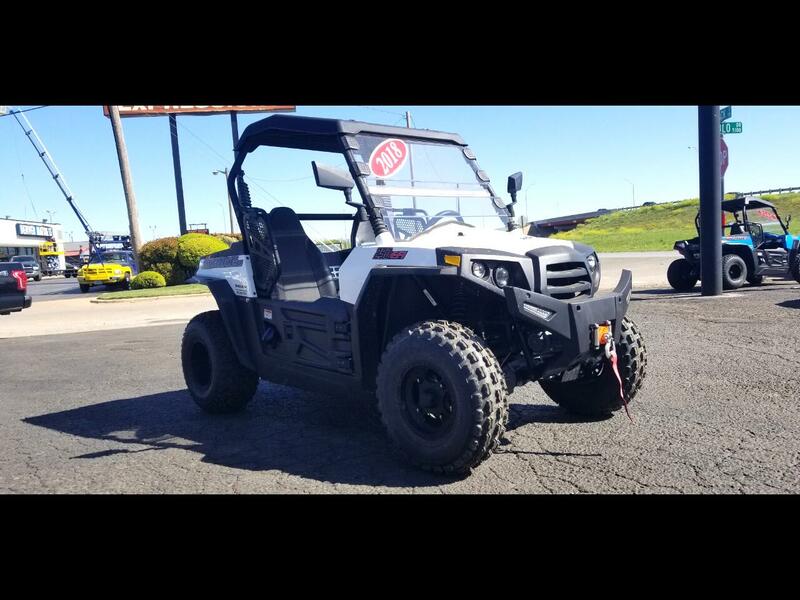 Overall Vehicle (L x W x H): 89" x 49.5" x 59"
Cargo Dimension (L x W x H): 20" x 37" x 7"
Message: Thought you might be interested in this 2018 HiSun Strike 250.